Rajendra Nagar, Near AB Road. The Institute Established in 1993. It provides Diploma programs in Architecture and Interior Decoration, Computer Science & Engg. and Fashion Technology approved by AICTE & Affiliated with RGPV. The Institute also runs the various short- term programs. The Institute posses Well Equipped laboratories, High-tech computer Lab and workshop with Qualified and Competent staff. The Institute uttilizes e-Teaching Technology and highly equipped Learning Resources Utilization Center (LRUC) alongwith a well furnished Girls Hostel with a capacity of 100 students in the campus.To produce and develop demand driven competent women technocrat of high quality in the high-tech area of engineering and technology and also help the deprived and disadvantaged women of the society through community services by encouraging, enterprising skills and become a benchmark in informal education for community as large. 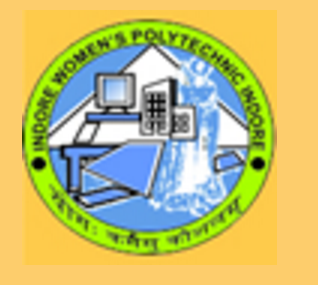 Indore Womens Polytechnic College, Indore offers various graduate courses as well as Post Graduate courses. Indore Womens Polytechnic College, Indore is affiliated to Rajiv Gandhi Proudyogiki Vishwavidyalaya (RGPV), Bhopal. List of facilities available at Indore Womens Polytechnic College, Indore for students. Generations of past students, both male and female, are proud to be known and enjoy maintaining their connection with the college and each other. Please write to [email protected]career.com with link of existing almuni group, or request for creation of group.